It appears that the Apple tablet rumors just won’t die. 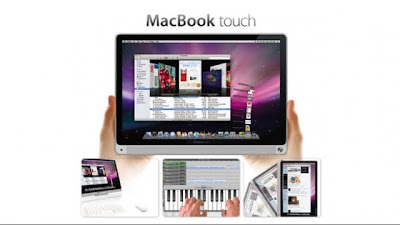 There is a rumor that a certain company have supplied touch screens to Apple for an alleged tablet. As of today Apple hasn’t released word of a touch screen tablet yet. We are only thinking, where is the keyboard and the mouse? If those two pop-up wouldn’t that take up a lot of space on the tablet. Plus, you can’t sit up right and type comfortably. Well Apple, we think you still have some creative thinking to do.